Once again, major, hard evidence is available from government scientific websites showing that major fraud is being perp’d on us all regarding the latest vaccine scam through a well coordinated fear campaign by our government and associated regulatory agencies. Weeks ago we first heard of Ebola out of Africa where no remedy was available. 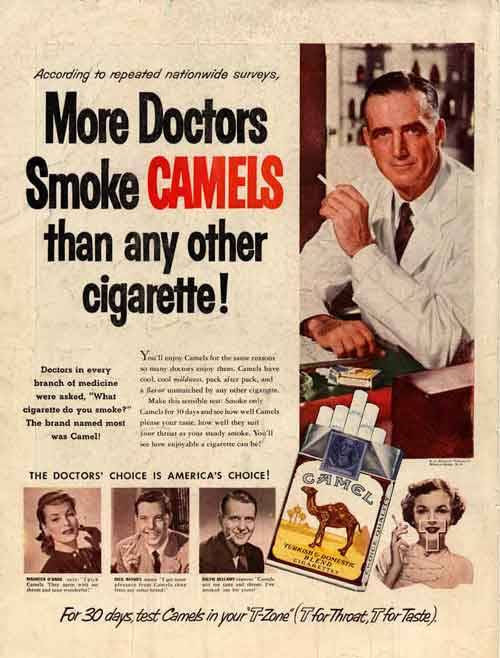 Then two doctors who were contaminated were brought into the U.S….Then, wait for it….they were cured and released!!! Science had come through again. Ebola vaccine was tested back in 2006 in over 4 government studies, who refused to publish their results because the results were probably too poor and ineffective, or worse, to report on their website. Please forward to all; To teachers, friends, families, those on your list server. Facebook, twitter, instagram, facetime, etc. This madness can only end when we all become very well educated as to who, what and why the powers that need not be are using fear and mass lies of propaganda to get us to be injected with very, very questionable vaccinations. Ebola haemorrhagic fever is the human disease caused by the Ebola virus. According to the World Health Organization (WHO), the disease has a fatality rate of up to 90% and is “one of the world’s most virulent diseases.” The disease first appeared in 1976 in two simultaneous outbreaks, one in the Congo (near the Ebola river) and the other in a remote area of Sudan. It transfers through close contact with blood of an infected animal (including chimpanzees, gorillas, fruit bats, monkeys, forest antelope and porcupines) and spreads human-to-human through direct contact with infected blood or other bodily fluids, or through contact between broken skin or mucous membranes of a healthy person and the contaminated possessions (blankets, bedclothes, needles) of an infected person. There is currently no licensed or authorized treatment or vaccine for Ebola virus. Serum containing antibodies from previously infected survivors of Ebola disease was used to successfully treat seven out of eight patients in the 1995 Congo outbreak (although those results have been disputed repeatedly), and other experimental treatments are currently being developed including monoclonal antibodies and prototype vaccines. Controversy has arisen in the current outbreak over the unauthorized use of an experimental treament (“Zmapp“) to treat two cases in the US (Source). ‘The United Nations isn’t letting a good crisis go to waste, having recently endorsed the use of untested, experimental Ebola vaccines being rushed to market as this is typed. Agence France-Presse reports that the vaccines, which are bypassing the normal testing and approval process, should be ready in bulk by early 2015 for use in West Africa. 9/5/14; GSK’s Ebola vaccine to begin US clinical trials in weeks. In addition, a steering committee made up of senior officials from NIH and the Department of Defense last week approved the first step toward using three advanced laboratories to manufacture Ebola vaccines and treatments, a person familiar with the planning said. Proof the government has had the vaccine ready for 8 years!!! This study will test the safety of an experimental vaccine developed to protect against Ebola virus infection and to determine if the vaccine induces an immune response to the virus. 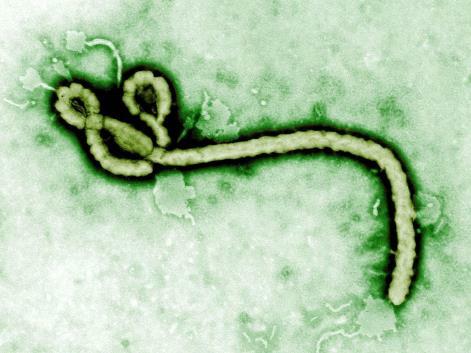 The Ebola virus causes a disease called Ebola hemorrhagic fever. Symptoms begin with fever and muscle aches and progress to breathing problems, severe bleeding, kidney problems, and shock. The infection may be mild, but it can also lead to death. The vaccine used in this study is made from small parts of Ebola genetic material. It cannot cause Ebola hemorrhagic fever to develop in those who receive it. Healthy volunteers 18 to 44 years of age may be eligible for this study. Candidates will be screened with a medical history, physical examination, and laboratory tests, and complete an “assessment of understanding” questionnaire to show that they understand the study. Depending on their order of entry into the study, participants are assigned to receive one of three vaccine doses or placebo. The first group receives the lowest dose (2 milligram) of vaccine or placebo. If this dose is safe, then the second group receives 4 mg, and if this dose is safe, the third group receives 8 mg. Injections are given in a muscle in the upper arm. Participants receive three injections, each 4 weeks apart (on study days 0, 28, and 56). Participants record their temperature and symptoms in a diary card for 7 days following each injection. They return to the clinic 2 to 3 days after each injection and then 2 weeks after each injection until study week 10. Additional follow-up visits are then scheduled at weeks 12, 24, 38, and 52. At each visit, participants provide a blood and urine sample for testing and have their vital signs, and lymph nodes checked, their weight measured, and their symptoms reviewed. The International Medical Council on Vaccination is an association of medical doctors, registered nurses and other qualified medical professionals whose purpose is to counter the messages asserted by pharmaceutical companies, the government and medical agencies that vaccines are safe, effective and harmless. Our conclusions have been reached individually by each member of the Council, after thousands of hours of personal research, study and observation. We are profoundly critical of the practice of vaccination. Vaccination is an unacceptable ris k to every member of society, regardless of age. As medical professionals, Council members have observed first-hand the health of vaccinated vs. the unvaccinated. We find the latter group to be robust, healthy and drug-free compared to the former group. We have reviewed published studies in support of vaccines and have found them wanting in both substance and science. We have brought out into the open hundreds of peer-reviewed, published medical articles that document the damage and the diseases caused by vaccines. We find the premise of herd immunity to be a faulty theory. We encourage intelligent debate about vaccination. We expect individuals to take responsibility for their health and the health of their children by investigating the problems due to vaccination prior to subjecting their children, or themselves, to this medical procedure. We believe that refusing vaccination is a personal right that should be legislatively guaranteed. 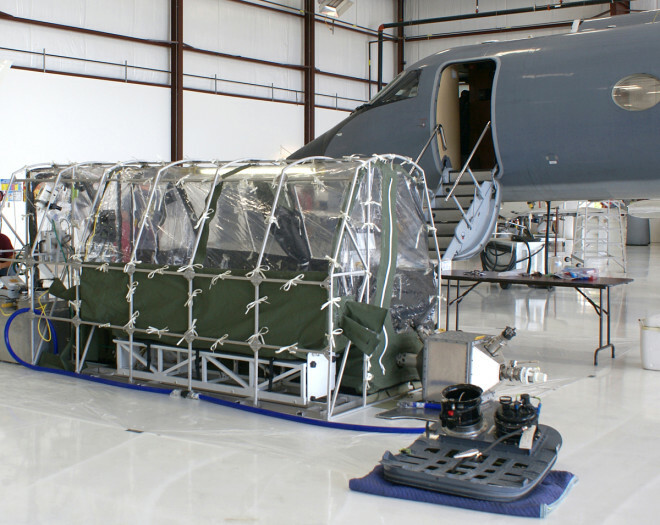 Phoenix Air, which currently offers the only medically approved means of carrying Ebola patients at a cost of $200,000 a flight, has flown more than a dozen missions since late July, said Dent Thompson, company vice president of operations. That includes flights carrying three people infected with Ebola — physician Kent Brantly, missionary Nancy Writebol and cameraman Ashoka Mukpo — from Africa to the United States. The company also has carried other patients or those exposed to the virus to Europe and within the USA, Thompson added. If you follow the Center for Disease Controls recommended vaccination schedule, your children will receive 49 doses of 14 vaccines by the time he or she is 6 years of age. By the age of 18, the CDC recommends that children have gotten a whopping total of 69 doses of 16 vaccines. Vaccine companies over the last eight years have outperformed all other medical companies in annualized profits with a stellar return of 32% annually. In 2009, during the H1N1 scare where more people in the U.S. died of the common cold, the National Institute of Health granted complete immunity from prosecution for vaccine makers. From 2010 to 2013 Medical drug manufactures paid out an all-time record $16 Billion in fines for drugs that killed, maimed and injured consumers (but no vaccine companies since they had immunity from prosecution.) Drug manufactures know that they only will have to pay fines if their medicine proves to be unsafe, so it is factored into as a cost of doing business. In 2012 Kaiser Permanente of San Rafael reported that 91% of the cases for Whooping Cough, the same vaccine being required, and soon mandatory, to enter 7th grade public schools, HAD been vaccinated for Whooping Cough. If more than 10% of students in public schools opt out of being inoculated, then Federal funds are cut from the schools. According to WebMD, In 2008, 39 percent of parents became educated about vaccinations and refused or delayed vaccines for their children. This compares to just 22 percent in 2003. No further comparisons have been done since then. The Marin IJ reported in 2013 that families that opted out of vaccinations for their children had the highest degrees of formal education. The CDC has admitted, according to their own website, that more than 98 million Americans received one or more doses of polio vaccine within an 8-year span when a proportion of the vaccine was contaminated with a cancer causing polyomavirus called SV40. It has been estimated that 10-30 million Americans could have received an SV40 contaminated dose of the vaccine.